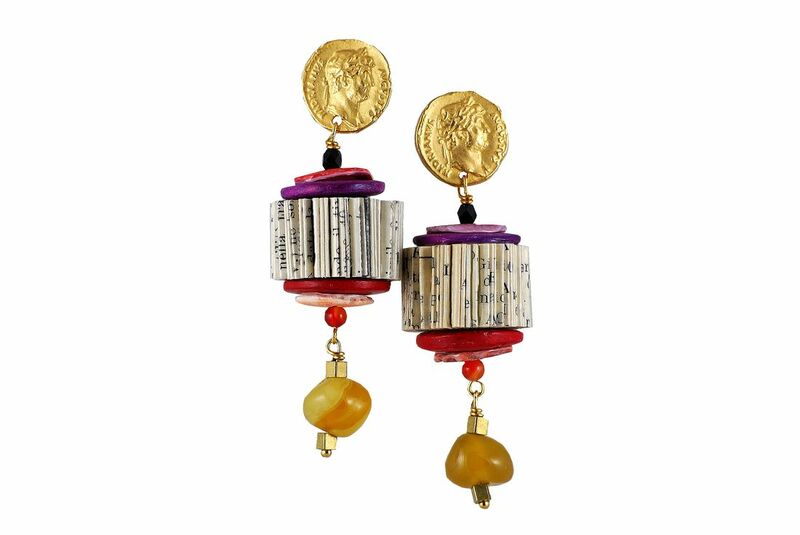 Hand made paper jewelry combined with round shaped gold galvanized zamak ear piece that resembles and antique coin, red and purple wooden discs, pink and purple pieces of shells cut round, corniola beads, black crystal and brass elements. All earrings are nickel free. 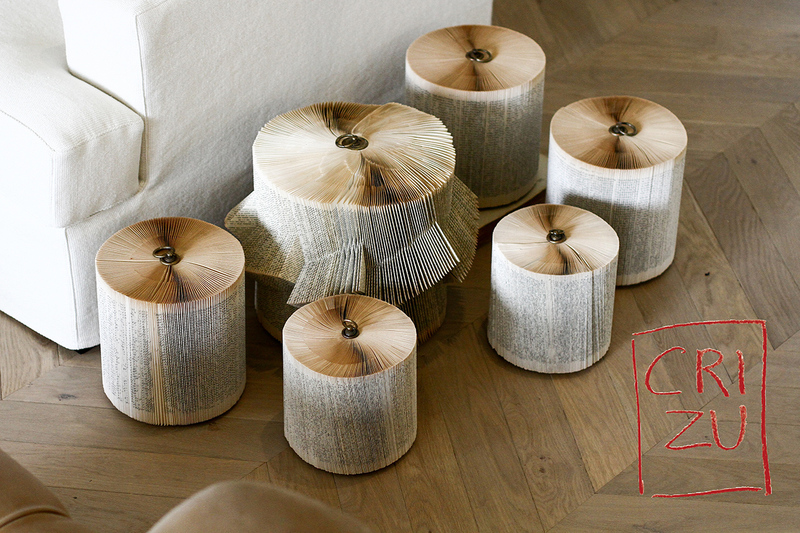 Hand folded paper; gold galvanized zamak; brass; shell; corniola; wood; crystal.